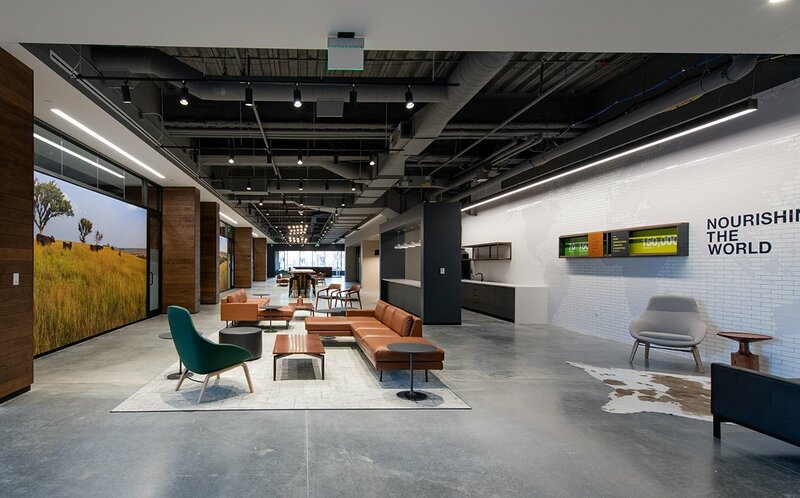 Cargill has opened its 188,000-square-foot North American protein headquarters in Kansas as it aims to bring innovative food solutions to global customers. The $70 million building, located in the city of Wichita, was created as a destination to retain and recruit top talent and immerse customers in “innovative culinary and food sensory experiences”, Cargill said. The headquarters connects Cargill’s 800 Wichita-based employees with 28,000 additional colleagues across North America and more than three dozen protein production facilities in the US and Canada. Cargill protein president Brian Sikes, who was appointed to his role last month, said: “We want to help make Wichita the Silicon Valley of protein, bringing together the best minds, innovation and technology in the industry. Crowdsourced solutions from employees guided the design of the building, which includes outdoor wi-fi lounges, game tables, grills and a firepit and flexible workspaces. Benefits of the space include: an immersive technology conference room that enables employees to collaborate faster with colleagues in global locations, a presentation kitchen to connect customers to food solutions, a sensory centre that allows the company to conduct product research, dedicated areas to explore sustainability across the protein supply chain, and capacity to accommodate 950 employees. Last week, Cargill announced plans to grow its business in Asia with a $235 million investment in the Philippines and a $70 million spend in Thailand. It has since acquired Colombian chicken producer Campollo, further expanding its poultry business in the country after buying Pollos Bucanero last year.